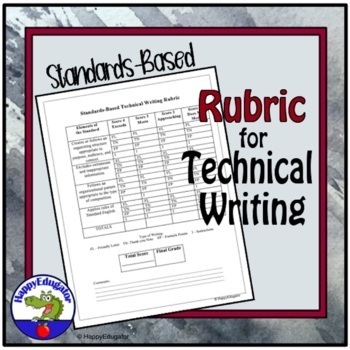 Standards Based Technical Writing Rubric. 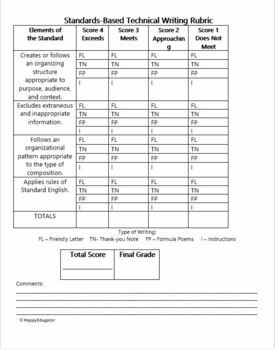 A rubric developed for writing instructions, friendly letters, formula poems, or thank you notes. This editable rubric, in addition to measuring that the student follows the rules of Standard English, also evaluates whether a student creates or follows an organizing structure appropriate to purpose, audience, and context, whether or not they exclude extraneous and inappropriate information, and if they follow an organizational pattern appropriate to the type of composition. Editable for your classroom use.